Friday, June 3rd, 2016, News. 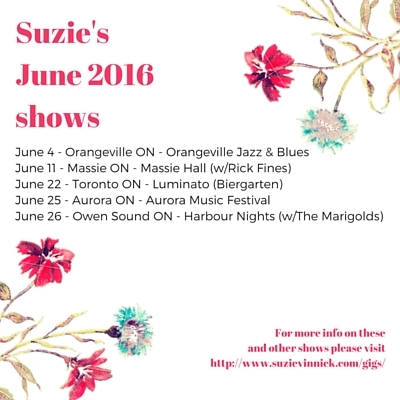 Here are my June shows – I’m really looking forward to ’em and the summer. I have a couple weekends open in August so if you’ve been thinking of presenting a house/backyard concert please feel free to drop me a line at suzie@suzievinnick.com.